We stopped here for dessert between visiting Fritz and the Metropolitan and it did not disappoint. The coffee was from La Colombe and that certain blend at $4 was on the stronger side. We shared a Berry Millefeuille and the Éclair seasonal. 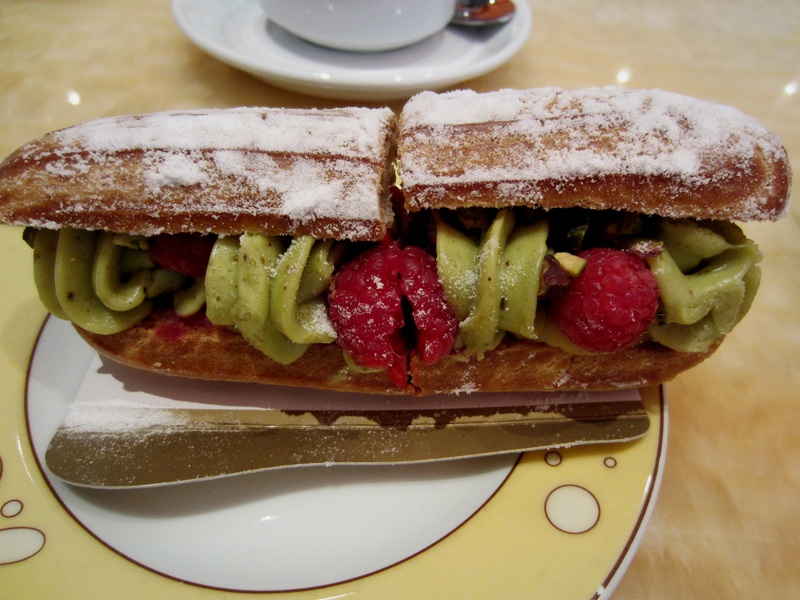 The pistachio and raspberry éclair was pretty good. 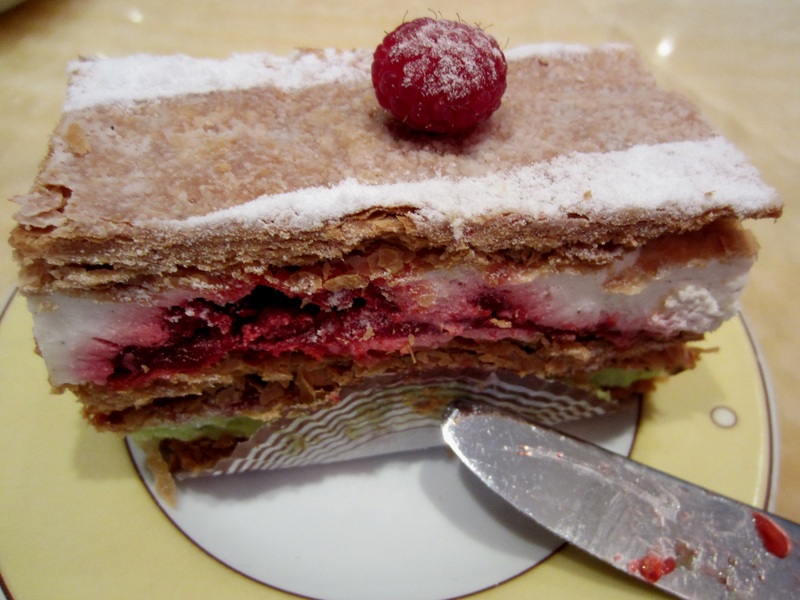 The Millefeulle was good enough, but nothing like the fresh made to order one’s from Jacques Genin in Paris. After tasting JG Millefeulle no other one can measure up. The Barista was friendly, but the manager was stiff.